You will be running the 5K with three flags attached to a belt. Your goal is to survive the race with at least one flag remaining on your belt (There will be one “Flag Reload” station about halfway through the course and one near the end). The course will be clearly marked with signs and Volunteers (yellow shirts) along the way. When you approach “Infected Zones” be prepared for Zombies to attempt to pull your flags (make sure that your flags are accessible to the zombies, no hiding them or altering them in any way. You protect your flags by running). As a side note, Zombies have been instructed to use “good judgment” and common sense when chasing Survivors. For example, if you are running with your young children, they should know to not go too hard after your their flags. You are basically a Zombie that gets to run the race. You are NOT allowed to pull runner’s flags. However, you are permitted to chase & “harass” runners inside Assigned Infected Zones. 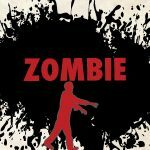 You may choose to “zombify” yourself or get transformed at the station at the starting line. You will be stationed at a series of Assigned Infected Zones throughout the race. While there, your goal is to make the race challenging for the Survivors as they pass through (using good judgment). You are NOT allowed to touch, grab, or deliberately lay hands on the runners. Once again, we stress that you use common sense and good judgment when harassing runners. Be kind to young children and any families/people that are leisurely walking or jogging the course. Our purpose is for this event to be a fun and enjoyable experience for everyone involved, and in order to do that, we need to be considerate of every participant. For example, if you notice that a runner has only one flag left, maybe don’t go after it too hard so the runner feels like they have a fighting chance. In sum, we want you to enjoy your experience as much as the Survivors do, but use your best judgment when seeking to pull flags. While the very fate of humanity lies in your ability to run, jump and overcome the perilous course before you, there are a few rules to follow to help make your quest a success. You will be outfitted with 3 flags as your lives but Zombies will try to take them from you. When you run out you must seek a recharge station along the course route. They will restore 1 flag and have you back on your way in search of a vaccine. Crossing streets – Some people are still going about their days as usual despite the city wide infection. There will be some portions of the course where crossing the street is necessary. Please be courteous and careful. The flags must be worn around the waist, with the flags hanging behind you. You cannot “run” after the runners, especially over long distances. You can chase/harass a runner for about 10 yards. 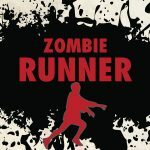 You should be lazily walking zombie-like as runners pass you. You can make some quick movements toward survivors. You are only permitted to grab ONE FLAG at a time. So even if you have a runner cornered/trapped, you can’t take all their flags, only one. We will try to funnel the runners toward you, so you won’t have to chase them too much. Remember, you are not there to wreak havoc on the runners, but to push them and give them a little run for their money. We want you to have fun and enjoy your portion of this event, but we urge you to use good judgment when going for runner’s flags. For example: Gauge the runners coming at you and try to discern how athletic they are. Then using that judgement to push them a little, but don’t ruin their day. Don’t try to steal flags while survivors are waiting for or on an obstacle. Also do not just clump up around an obstacle. Try to target people with more flags. It is much more fun if you stay “alive” longer. You will run the race in between waves of survivors. 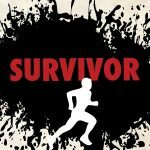 You can follow and chase survivors.